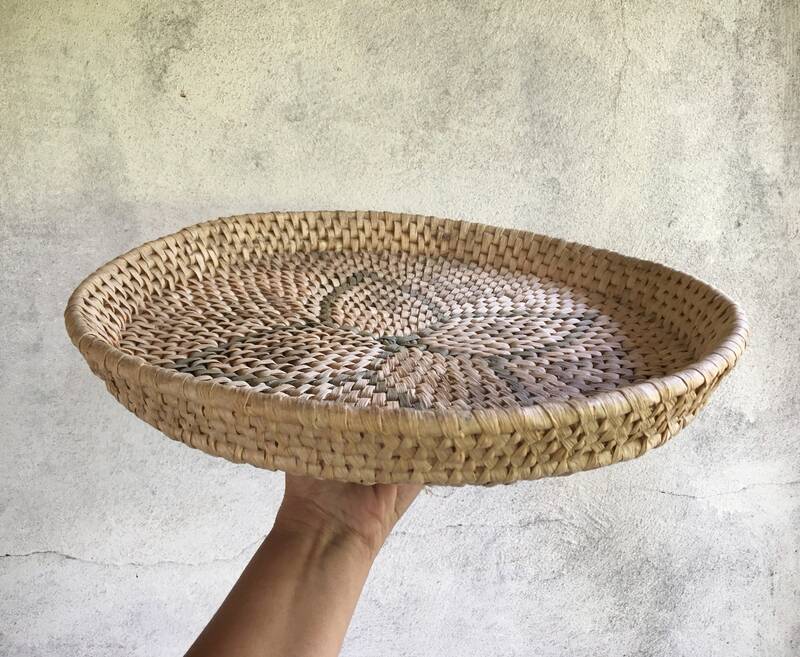 This raffia basket is simple, earthy, subtle, and just lovely. 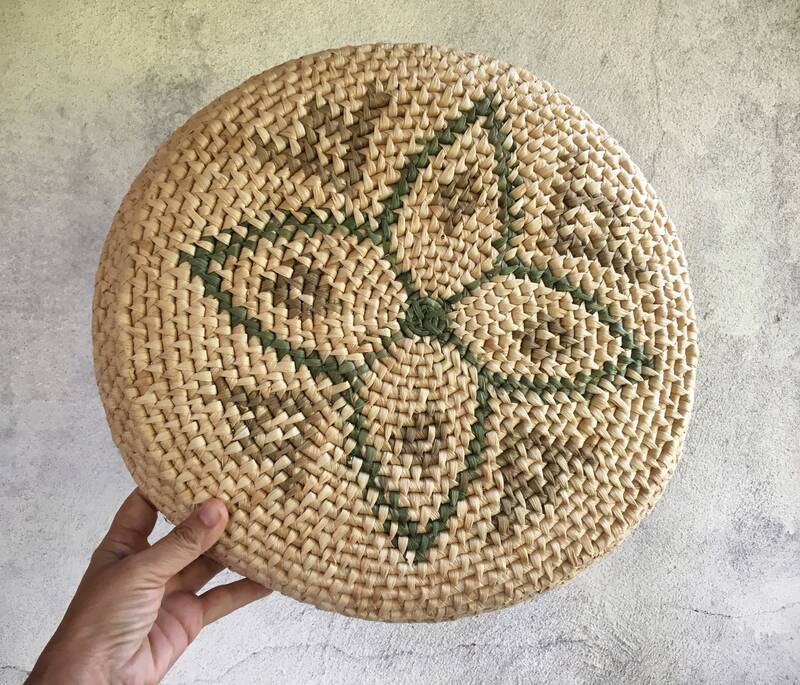 The hand woven coils are thick and the fiber textured. 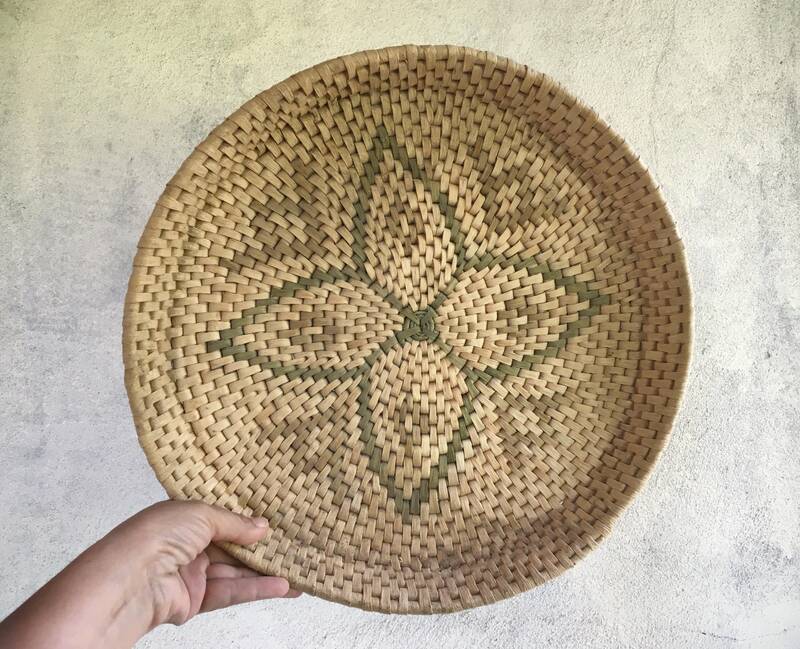 It may have gotten wet at some point as the basket has a wave to it, and the texture in the fiber does almost look like what happens to dried leaves when they get wet and dry once again. 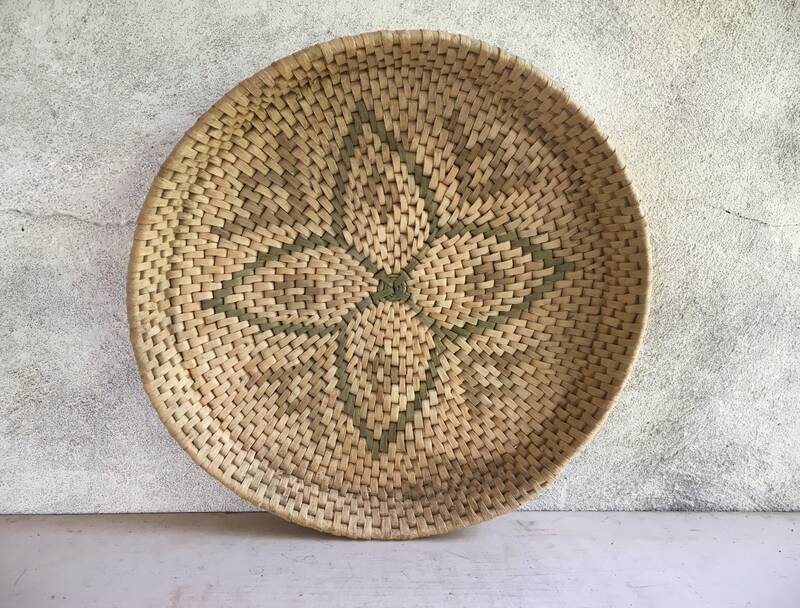 Nonetheless, it has a most beautiful subtle faded sage green and faded brown/tan design of a flower or star , which given the round and vertical weaving almost undulates when you stare at it.This piece would look great on the wall of a bohemian home, or a simple modern aesthetic. Do be aware that there is no mechanism for hanging, although one could place a small nail through one of the seams or even thread fishing line through a loop in the back. It would also be quite functional for serving cut bread or other goods. 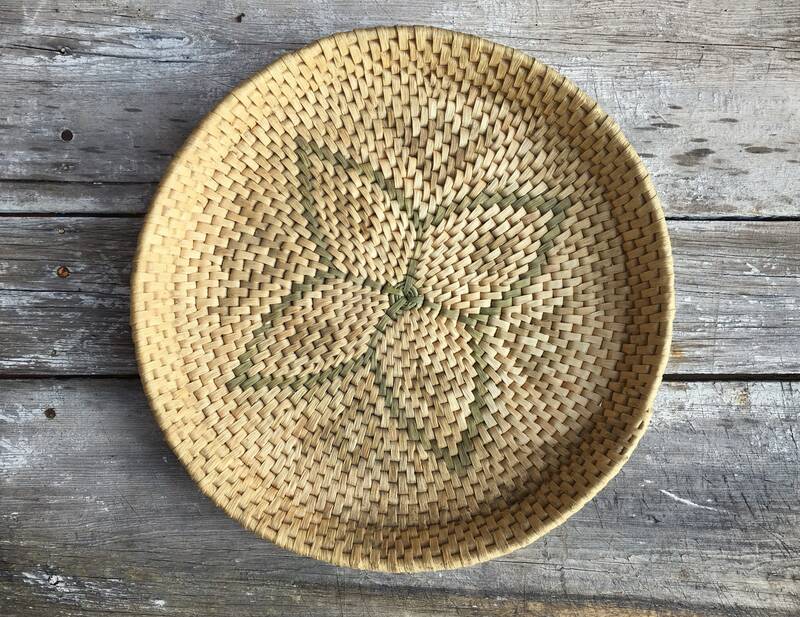 Measures 15-1/2" in diameter and little under 2" tall. Weighs about ten ounces unpacked. 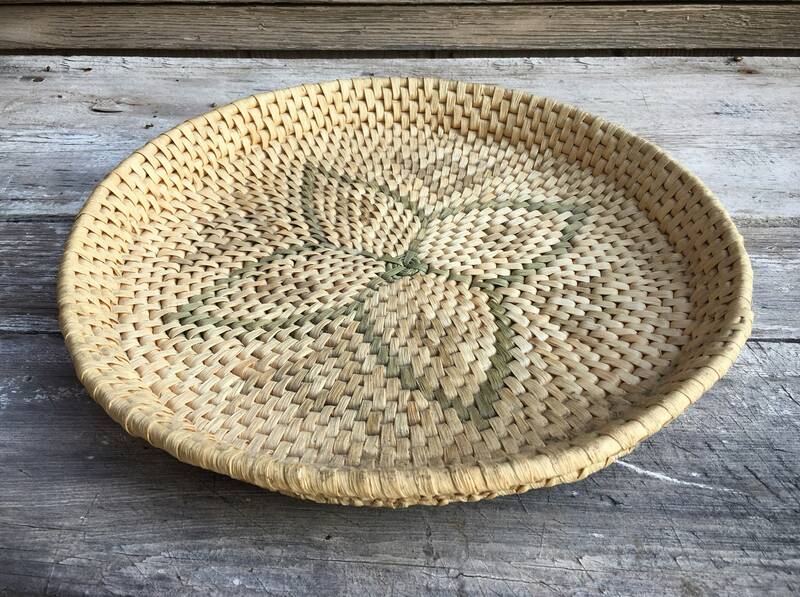 Again, the basket is wavy from age and possibly having gotten wet, but otherwise in good vintage condition.